Turn 3 shots into 2 around the greens! Improve the 5 skills important to putting. Hole more putts from short, medium and long range. Take shots off your game without changing your swing. Let’s see you in context, on the golf course, where it really matters. Look forward to seeing you all throughout the year. Details will be released 3/4 weeks before each clinic with further info. Enjoy 2019 on and off the golf course. This entry was posted in Blog, Clinics and tagged Golf Coaching Sussex, Golf Coaching West Sussex, Golf Lessons Rustington, Golf Lessons West Sussex on January 11, 2019 by Russell. Golf Lessons Sussex – Reflection on 2017. Set Goals and Improve in 2018! Do it. Golf Coaching Sussex – Reflection on 2017. Improve in 2018! Let’s make it happen! It’s that time of year to reflect. 2018 is now here, albeit rainy and windy, but another year lies ahead. Can you make 2018 better than 2017? I think you can! I’ve just been through this excerise myself, in my golf and in my coaching. I found it really beneficial, I think you will too! I will look to do this with all of you when I next see you next, but till then I would encourage you start the reflection process yourself. I I don’t get the chance to see you soon, crack on anyways. So the things I want you to consider, did you achieve what you wanted in 2017? If so what was your strategy and formula, is it worth repeating again? Can you improve it further? Do you want more in 2018? If so what strategies do you need to change, what new formulas, habits and behaviours must you now consider? Don’t be afraid to keep pushing to stay slightly above your current skill level; this is where maximise growth and learning take place. As I have described previously, get yourself in the ‘ugly zone’. Brake out the comfort zone and embrace some new habits. Celebrate your successes, what went well, what did you achieve? For example, did you shoot a personal best, achieve a competition win, a handicap reduction, improved your G.I.R’s, beat a family member, play more, or practise better. The list is endless and indidivdual to you, so have a good think about it to define at least 3. What were your biggest disappointments of 2017? To move forward, you have to be upfront and honest about what didn’t go well? We learn from our greatest failures and experiences. What did you learn in 2017? – What discoveries did you make, what did you really learn, big or small? What do you want to learn and master in 2018? You might want to learn to shape the ball, or you want to take your range game onto the golf course. You might want to become a better putter from 10 foot or learn to control your nerves and anxiety better in competitions. What is important to you? And what will make you better? What do you really want to achieve in 2018? What are your key goals and aspirations? Do you have some outcome goals, maybe improving your handicap, if so, what do you realistically think you can achieve? Could it be achieving a personal best, winning a club championship, or county order of merit? What about some performance goals, improving distance off the tee, holing more short range putts? And finally process goals – practising better, keeping statistics on your game, regular coaching, or just more fun!? Consider what is important for you!? It’s your choice. I can then assist you further and then create some leverage and structure behind each goal. Creating new habits is more around design rather than just motivation. This whole process is so vital for your clarity, purpose, vision and motivation. I really recommend you do it. It will help you get through the ‘ugly zone’ and make the most of 2018. I would be really intrigued to hear your answers, so please let me know? Write down some thoughts and take action today! This entry was posted in Blog and tagged Golf Coaching Sussex, Golf Coaching West Sussex, Golf Lessons Rustington, Golf Lessons West Sussex on January 3, 2018 by Russell. The Assessment Process: Our 1st Hour together. Don’t know how to improve your golf swing? Practising hard but handicap staying the same? Ripping your driver but scoring badly? Our first encounter together will be a thorough 60-minute assessment that will show you exactly what is needed to improve your golf. The assessment is completely personalised to your standard and therefore suitable for everyone. For me to help you improve your golf and achieve outstanding results I must understand how your mind and body works. I must see you game tendencies and your ball flight patterns to find that bridge, that missing link to fulfil your potential. As you know, your personality is unique to you, and it follows that you bring your own unique combination of core mental strengths and weaknesses to golf. Just by being you. After 60 minutes you will be presented with a suggested plan of improvement showing you the key areas of your technique and game that need improving to fulfil your potential and goals. 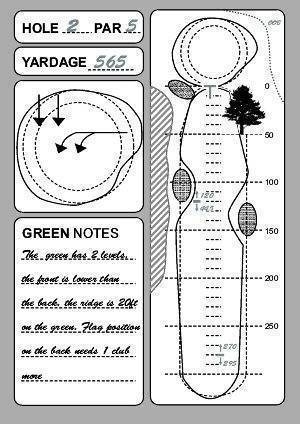 This entry was posted in Coaching Services and tagged Golf Coaching Sussex, Golf Coaching West Sussex, Golf Lessons Rustington, Golf Lessons West Sussex on February 18, 2014 by steve.